Real estate has always been a part of Kade’s life being brought up in a real estate family. 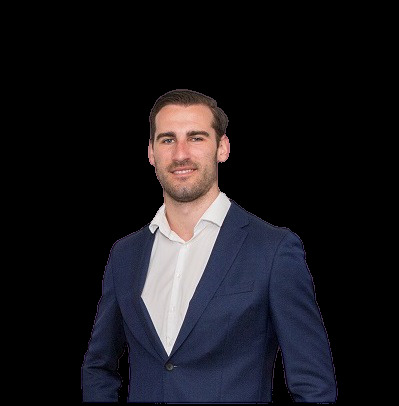 At a young age Kade learnt about property investment, sales, management and the principals of running a successful real estate agency. Kade is a great peoples person and has proved to be integral part of the success of the Platinum sales team. Kade was very knowledgeable about both the suburb and current market conditions. He was proactive in his marketing, working with existing contacts in his database as well as promoting the property through home opens. He kept me informed of interest from each home open and successfully negotiated the eventual purchase price to a point where I was more than happy. Great work Kade and thank you very much! To start with I had a pretty big ask for Kade as my place was a renovators dream or a builder's demolisher. Kade did everything I asked and all the extra work he put in to make this sale, due to the big ask and headache of me not being in the State I had given up, and almost taken it off the market. But Kade re assured me and made it happen going above and beyond. Thanks heaps Kade if I never to said it at the time I appreciate all you done. Kade is young, enthusiastic, and a very professional Sales Rep, who is very knowledgeable in this area, on top of this he managed to sell my house in 3 days and for a great price !! I would highly recommend his services to anyone looking to sell. Safe, secure and secluded, your very own slice of sunshine filled, bushland escape awaits. HIDDEN GEM! Green Titled Block! Tucked away in a very convenient location awaits the green titled 401m2 level block with an approximate 17 meter frontage. UNDER OFFER AFTER FIRST HOME OPEN!!! If you're looking to sell, i have buyers ready to move.